All over the world, many people have applied for credit cards and used them for different purposes. A large percentage of these credit card users suffer from recurring debts and penalties. In addition, you might encounter people who might advise you against getting a credit card. They are somehow right, but it doesn’t mean that credit cards are evil! There are numerous ways to deal with credit card obligations. Back then, credit cards are only used for spending purposes and consumption. Now, the nature of a credit card remains the same – except that it can now be used to boost your credit status. Once you’ve applied for a credit card, you’re now an advanced level consumer. The bank has trusted you to spend your credit wisely and pay back what you owe. As long as you remain true to that goal, your credit status will be on the positive scale. What happens if you fail to pay on time? Then the penalties will come! Similar to a loan offered by licensed moneylenders, the penalties will make it difficult for you to pay back. As you incur more penalties, your credit score will drop. Sooner or later, you won’t be eligible to get a new card. Or you’ll have a hard time getting one. This is a snowball effect which can be felt during loan applications as well. Everyone loves rewards, freebies, and incentives. Credit card companies are exceptionally good in offering rewards to their clients. During the pre-application process, an agent might emphasize the actual rewards and perks that you can get with the credit card. If you want to gain these rewards, then getting a credit card is a nice method. The most common rewards that you can get are item rebates and product incentives. Most banks and financial organizations have partnerships with third-party merchants. Another popular reward is a travel incentive. Getting this reward takes a long time because you need to meet specific point milestones. Keep in mind that each credit card provider is different. You might want to check out their rewards first before signing up with a provider. Aside from having a secondary form of cash to spend, it’s undeniable that credit cards empower convenience. While shopping, you can just flick your credit card, swipe it, wait for cashier feedback, and leave with your products. If you brought cash, you need to count your bills and coins. The process will take longer. Wise people use credit cards to save time. The unwise ones use it to spend, spend, and spend. There’s a known concept that financial organizations love to punish people who use cash often. In this fast-paced world, everyone is encouraged to use credit cards. Getting a fast loan, for example, can augment your credit card usage (or the desire to own one). Payday loan lenders might advise you to get a credit card, but the decision is up to you. Remember, convenience has a price! The difficulty of getting approved for a loan depends on the type of loan that you are applying for. Personal loans, for example, are easy to get because lenders are not too strict. But if you want to apply for a business loan, the situation is different. There are many factors that can affect your loan approval rate. Ownership of a credit card is one of them. If you own a credit card, the lender might think that you are a reliable borrower. The risk is minimal because a financial organization has already trusted you beforehand. Combine this with your credit score and other metrics, and you’ll get pre-approval within a short time frame. If you are behind on your credit card payments, some lenders may take this against your credit status. Fortunately, there are other lenders who won’t scan your credit status too much. 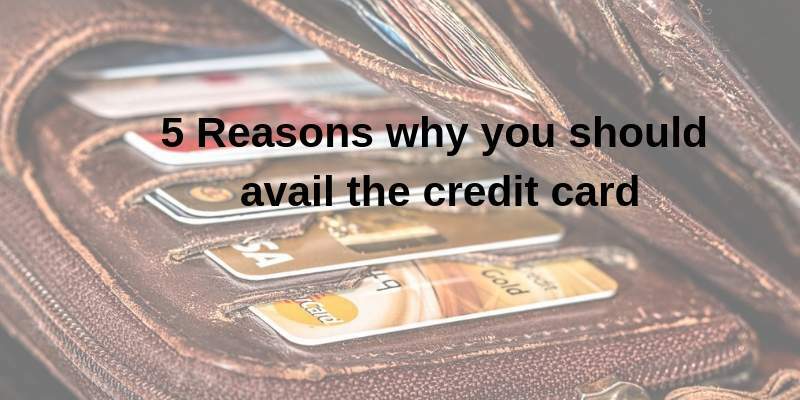 Whether you believe it or not, a credit card can be used as your ‘personal finance training tool.’ If you are a heavy spender, then you the presence of a credit card might be tricky enough. You have to forge new habits in order to avoid using your credit card hastily. Adjusting to your new credit card is difficult at the start. Hundreds of companies will tempt you with fantastic offers that you don’t need as of the moment. So, be firm with your personal finance goals, and let the credit card be a reminder of your mission. Even though credit cards have a negative reputation globally, you shouldn’t be afraid of getting one. Besides, the effects of a credit card depending on the credit card holder! Just be responsible once you have your card – then you can reap the benefits!